Keep your tables free from water rings with help from the Pumpkin King of Halloweentown! 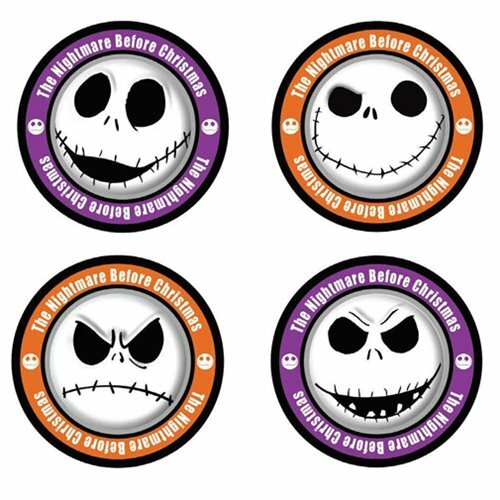 The Nightmare Before Christmas Jack Skellington Faces Coaster 4-Pack is the perfect gift for The Nightmare Before Christmas fan in your life. You'll get four coasters, each featuring Jack Skellington displaying a different emotion. Measure approximately 3 1/2-inches in diameter. Ages 4 and up.